A very simple and basic definition: Linguistics = the study of language as a method of human communication. It includes the study of grammar and syntax, phonetics and phonology, sociolinguistics, psycholinguistics, dialectology, computational linguistics, comparative linguistics, structural linguistics, applied linguistics and second language learning. A glossary of linguistic terms for the serious student at http://www-01.sil.org/linguistics/GlossaryOfLinguisticTerms/Index.htm. The Concise Oxford Dictionary of Linguistics is accessible online via SOLO. The symbols of the International Phonetic Alphabet and the sounds they represent can be found here: http://www.internationalphoneticalphabet.org/ipa-sounds/ipa-chart-with-sounds/. This guide is intended for students studying Linguistics and language-related subjects at Oxford University Department for Continuing Education, although of course others may find it useful. 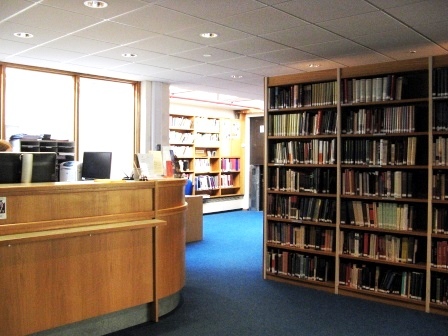 Use this guide to find out about the print collections for Linguistics in the Rewley House Continuing Education Library and also about electronic resources such as e-books, e-journals, bibliographic databases etc. You'll also find some tips on searching library resources effectively. For undergraduate and postgraduate courses in Linguistics see http://www.mod-langs.ox.ac.uk/ and http://www.ling-phil.ox.ac.uk/. An MSc in Applied Linguistics and Second Language Acquisition is offered by the Faculty of Education (see http://www.ox.ac.uk/admissions/graduate/courses/msc-applied-linguistics-and-second-language-acquisition). The Oxford University Language Centre, 12, Woodstock Road, is a university-wide service. Find out more at http://www.lang.ox.ac.uk/.